Mayor Michael Bloomberg cruises to a third term. Mayor Michael Bloomberg keeps raking it in. The third-term mayor and finance whiz is the 23rd richest man in the world, according to the 2010 Forbes World's Billionaires list. Once again, that makes him the wealthiest person in New York City. Spending about $90 million on his latest campaign -- the most expensive one in the nation's history -- didn't leave much of a hole in the mayor's pocket. In a year where most of the world's billionaires watched their fortunes fall, Bloomberg's net worth increased from $16 billion to $18 billion, reported Forbes. 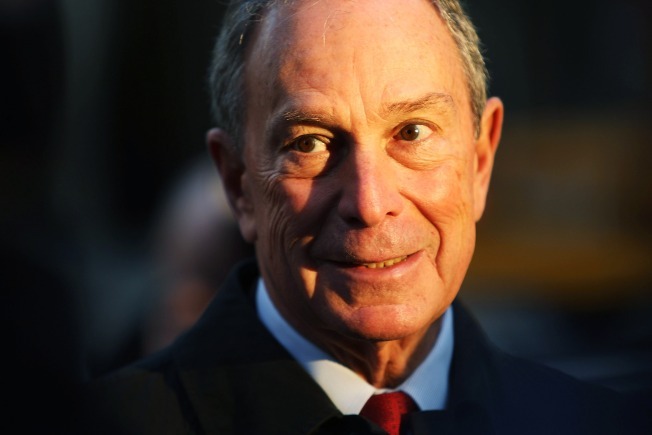 He may get a one-dollar yearly salary as mayor, but Bloomberg's main revenue comes from owning 88 percent of the financial news company Bloomberg L.P., which he founded in 1982. Mexican businessman Carlos Slim Helu wins the title of richest person in the world with a net worth of $53.5 billion. Trailing at No. 2 by $500 million is Microsoft giant Bill Gates with a net worth of $53 billion. American investor Warren Buffett rounded out the third position worth $47 billion.